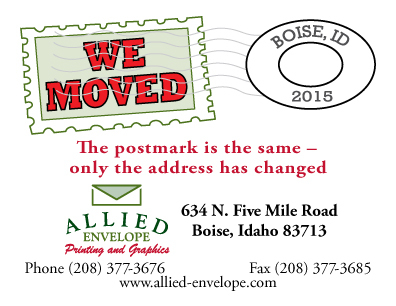 Allied Envelope Company has been specializing in innovative printing and design since 1977. By “pushing the envelope” we provide businesses with the best in quality, service and value in the industry. With over three million envelopes in stock and a knowledgeable and experienced staff, Allied Envelope is committed to meeting all of your business communication needs. Browse prices for all your USPS® mailing and shipping needs. "I have had the pleasure of working with Allied Envelope for the past five years. Their staff is organized, friendly and creative. Most importantly, their pricing is very competitive & they delivered all of our jobs on time."